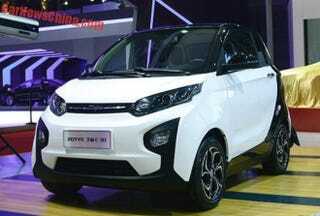 This is the Zotye E30 EV. I think it looks like a 1968 Triumph Herald. Those pesky Chinese keep copying everything!